The web programming teams at Web Store Experts know how to capture your vision and turn it into a mission! WE won’t quote chapter and verse from the large number of market surveys that have recently been released about the exponential growth of the Internet around the world. 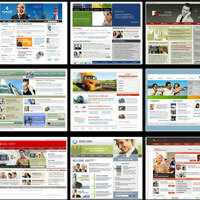 It is purely natural that a web development company like Web Store Experts would want to take these findings seriously. Online purchases are up and so is local and geo-targeted search. AT Web Store Experts, we meticulously follow trends and patterns on the world wide web so that you can leverage the latest technologies to generate maximum ROI and experience growth like the Internet itself. Joomla is a search engine friendly content management system ideal for both small and large businesses to promote their business, communicate with customers, showcase their products and build new loyalty bridges. The key factor which makes Joomla such an attractive value proposition for your company is the fact that it is highly affordable, intuitive and extremely customer friendly. At Web Store Experts , our core competency lies in building powerful Joomla websites which deliver results through seamless integration of all the various elements associated with a successful website. Whether it is an e-commerce website or a content management system you need, Web Store Experts can build it for you. We will assign you your very own project team which will not only develop the site specifications and achievement models for you but will also stay in touch with you as the project quickly moves toward beta testing, dry runs and final completion. Call or write to us today for a no-risk consultation session and a price quote. Our pricing structure will truly amaze you.